2018 has not been kind to plastic straws. The restaurant and hospitality industries are being encouraged to change the way they use single-use plastic products like straws (“500 million straws are used and discarded every day in the U.S. alone”). In response, many corporations are coming up with alternatives and plans to change the way they use straws. In 2015, a video was uploaded to YouTube named ‘Sea Turtle with Straw up its Nostril – “NO” TO PLASTIC STRAWS’ by Texas A&M Ph. D. candidate, Christine Figgener. This video has over 32 million views on the YouTube platform, not counting Facebook or other social media views. Although it wasn’t the first, this viral video put a face on the issue of single-use plastic items and raised awareness about the consequences that aren’t considered after a piece of plastic lands in a landfill, ocean, or beach. Many restaurant owners are being faced with purchasing questions that they will need to answer. Single-use plastic has long been used in the restaurant and hospitality industries religiously for the past fifty years. It can seem difficult to find alternatives, but not impossible. Plastic straws (used in homes, restaurants, etc.) are turning up in the ocean and harming wildlife while also adding themselves to heaping piles of garbage that can’t be recycled. What are other companies doing about straws in their restaurant? Food industry behemoths like Starbucks and McDonald’s were some of the first to make headlines in the fight to abolish straws. Starbucks is looking to ditch plastic straws for their strawless lid cup in all locations by 2020. McDonald’s is banning single-use plastic products in their U.K. and Ireland locations while also testing plastic straw alternatives in the U.S. Other players like Aramark, Hyatt Hotels, Fox Restaurant Concepts, Eataly, Shoney’s, the Four Seasons Hotel group, and even Ikea are just a few of the food/hospitality companies are in the process of or have promised to change their straw policies. What do restaurant owners need to consider? Consider where your restaurant is. Cities like Malibu and Seattle have already passed ordinances banning plastic straws, forcing restaurant owners to offer an alternative. What can I do in my restaurant? If you’re thinking about making the switch from plastic straws to an alternative, here are some options to consider. There are pro’s and con’s to each alternative so it’s important to choose what is right for your business model and menu. Getting rid of straws all together in larger companies seems to be the way of larger corporations (like McDonald’s and Starbucks). While this may seem like a grand and great gesture, it’s also a major point of contention for people with disabilities. Many people with disabilities rely on straws to avoid aspirating liquid into their lungs. Another issue with the strawless lid is the additional plastic that goes into their production. Although no straw is needed in this redesigned lid, the new recyclable lids actually have 0.32 or 0.56 more grams of plastic product than the current lid and straw combo. While this lid is recyclable, it’s still likely to end up in a landfill or in the ocean. The biggest complaint? The straws get soggy and collapse after a couple sips. The key to finding a good paper straw is to have one made with higher quality materials. Straws from companies like Indiana-based Aardvark focus on materials like special paper with a cleaner carbon footprint and a food-grade safe adhesive to maintain a quality straw. Paper straws are pricier but reduce the plastic consumption. This will hopefully be a better alternative in the future as the technology becomes more widespread. Not a bad solution, in fact it may be a great one for dining-in situations as they are a little expensive. By using metal, this alternative basically becomes part of your silverware set. If you plan on using this type of straw, opt for those with a bend in them, an important characteristic for customers with mobility issues. The drawback? You may want to also invest in another alternative such as compostable or paper straws for your take-out orders. They may be firmer than paper straws and less bendy than plastic straws, but pasta straws don’t have all the answers. These can get soggy and don’t work for customers who have a gluten sensitivity or Celiac disease. These straws have a very similar consistency to plastic straws but are compostable, meaning if they reach a landfill, they will break down. It’s important to note that these straws can be 70% more expensive traditional plastic ones, causing business owners to cringe at this alternative. For independent restaurants where the decision-making lies with you or your general manager, having straws be available on request can lessen the straws given out. Most people use straws because they are handed one, making them just another step in the dining process. If customers have the need or desire to have a straw, having them available only upon request will cut down on those who just use a straw for convenience. And in the same move, you are still providing an option for those who have mobility issues. Having straws available upon request could also help you save money since you’ll be cutting back on how many you order by not giving them out as freely. Is your restaurant making moves to sustainably serve your customers? If you are in a straw-banned area, how has it affected your business? Tell us below. For more information on anti-single-use plastic campaigns, please visit The Last Plastic Straw for more details on what your restaurant can do. Have you ever wondered how that swivel in your Lazy Susan works? Did you know that it’s the same mechanism that makes your bar stool swivel around when you’re saddled up to the bar? Or, how about the swivels that turn your washing machine or the wheels on your car? Does your kid have a fidget spinner? Guess what? That’s a swivel too. Swivels are just couplings that allow two parts to rotate around one another, but they are everywhere you look. But why does a bar stool need to swivel? After all, all your customers have to do is sit on it and enjoy their microbrews right? Well, it turns out that swivels on bar stools come in handy for a number of reasons. First, they make it easier to get on and off of the bar stool without having to back away from the bar, which can wear out your glides and scratch your floors. Second, imagine that you have a great band playing on a Friday night and the joint is packed. If you don’t have swivel bar stools, then every customer at the bar who wants to watch the band has to pick up their chair and turn it around; this leads to blocked aisles, potential injuries, and an increased workload for staff members that have to move the bar stools back into place. It also makes it difficult to order more drinks from the bartender, which can hurt your bottom line. Now that you know why swivels on bar stools are great, let’s take a look at the two different types of swivels that come in bar stools. The first, and most common, type of swivel is called a ball bearing swivel. Ball bearing swivels are metal plates with metal balls running in channels between the plates. One plate rotates on top of the other, and the metal balls reduce friction. Ball bearing swivels have been around for ages and they are used in just about every rotary application that you can think of. They are economical, reliable, and easy to find. The main problem with ball bearing swivels in bar stools is inconsistent weight distribution. Consider the customer who always sits on the end of the bar stool; his/her weight is distributed toward the front of the stool. Over time, the plates that hold the metal ball bearings become loose, and the balls start to spill out of the back. If you’ve ever wondered where those little metal balls on your floor are coming from, they’re from your bar stool. In general, ball bearing swivels last between 60,000 and 100,000 rotations; much less than the second type of swivels that we’re going to discuss. Nylon race (and other polymer) swivels are specifically designed for furniture use. Instead of ball bearings, nylon race swivels are made from two nylon disks that fit together so that they turn around each other. The nylon plates do create more friction than ball bearing swivels, but the durability of the smooth nylon is unaffected. In fact, nylon race swivels have been tested up to 1 million rotations without noticeable losses in serviceability; that’s a lot of turns on a bar stool. Most commercial swivel bar stools, including the ones that we sell at East Coast Chair & Barstool, come standard with ball bearing swivels. Nylon race swivels are considered an upgrade, and are available for an additional fee. If your barstools get a lot of use, it might be worth the additional charge to upgrade to a American-made nylon race swivel due to the increased durability and longevity. Nylon swivels also come with a 10 year warranty, whereas ball bearing swivels typically come with no warranty. 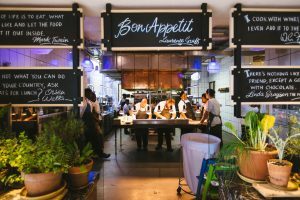 Commercial kitchens are notorious for the hustle and bustle that happens behind the doors; while the customers might see the relaxed atmosphere of the dining room, the kitchen is anything but. That being said, it is also one of the most dangerous rooms in your restaurant. With a few easy steps, you can help ensure the safety of your employees and patrons, and protect against financial losses. The biggest hazard to a commercial kitchen is a fire. Nearly 8,000 eating and drinking establishments report a fire each year, according to 2006-2010 data tabulated by the National Fire Protection Association (NFPA). Fire causes over $246 million in restaurant property damage each year and can devastate a restaurant, leading to lost revenues and even permanent closure. A great way to combat a fire is by installing an effective kitchen fire suppression system. Look for a system from a company that provides trained technicians to install the system, provide routine inspections, and service the equipment. Current U.S. codes require a UL3000 hood extinguishing system along with a k-rated fire extinguisher. months. While checking don’t forget to check the batteries for corrosion, which can also cause the alarm to malfunction. In the event of a fire, ensure that all posted signs are easy to read and visible, not only for employees but patrons as well. Make sure to keep you evacuation routes clear. This is a safety measure, but if routes are blocked it can also be a code violation. Ensure that all posted signs are easy to read and visible, not only for employees but patrons as well. You don’t want to see anyone harmed if something should happen. Having properly functioning fire alarms can alert not only your employees and patrons, but also the fire department of any serious situations. Regular fire drills and well-displayed evacuation routes also help to ensure the safety of everyone. Practice the drills to help identify any area of confusion that should be remedied before an actual fire breaks out. 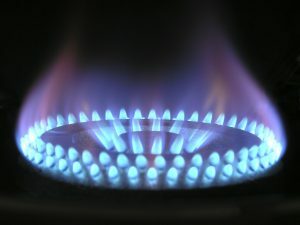 In addition to fire, improper equipment is a huge concern in a commercial kitchen. Deep fryers are not only a concern for fire safety but also for burns. Hot oil is very dangerous and requires a 16-inch clearance to ensure that all staff members are safe. Keep in mind that child labor laws do not permit workers younger than 16 to cook or use a deep fryer. Always have team members wear steam gloves when changing or filtering the oil to protect against burns. Another aspect of fryer safety is keeping the floor near the fryer very clean; oil from the fryer can easily make its way to the floor and cause a fall leading to injury. Keeping your kitchen as grease free as possible increases not only safety but productivity. Commercial kitchens are full of grease. Cleaning grease traps on a 6-month interval may be an industry standard, increasing the cleaning frequency based upon how quickly the grease accumulates helps cut back on the likelihood of blockages. According to the EPA, grease is the primary cause of sewer blockages that lead to overflows in the kitchen. Knives are one of the most commonly used tools in a chef’s arsenal and present a constant danger in a commercial kitchen. Believe it or not, dull blades are more likely to slip and cause injuries, so keep you knives sharp. Utensils made of high carbon stainless steel hold their sharpness longer and might be a good investment so you aren’t spending lots of time sharpening blades. It is also important to avoid knives with wood handles as they are more likely to become oily and slip from the users grasp. One of the most helpful ways to improve your kitchen safety is to provide your staff with the appropriate training. Staff should always be trained on the proper way to use new equipment and the dangers that are associated with improper use. In addition to new equipment training, consider sharing with your team a few other pieces of information to help keep your kitchen safe. Be able to power down equipment – Train at least one worker per shift on how to correctly shut off the gas and electrical power in case of an emergency. Sometimes it is difficult to make your safety training engaging, yet quick, and easy to grasp. Colorful visuals, customized posters, and videos are all good tools to help teach your employees without causing them to zone out from boredom. Nobody likes to micromanage employees and make them feel incompetent, but it is a good idea to supervise the handling of the equipment occasionally to make sure that it is being used safely. You can give your employees all the tools they need but if they aren’t using them correctly it won’t improve the conditions of your kitchen. Another benefit of revisiting your safety measures is that a safe and clean kitchen leads to higher employee morale and productivity, not to mention the benefit of avoiding lost revenue due to down time from an accident or permanent closure. At the end of the day, the biggest benefit is still ensuring the safety of your staff and patrons. 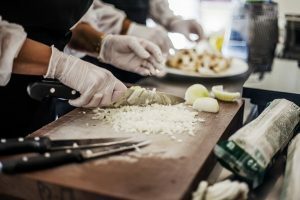 By checking for fire hazards, monitoring your equipment, and training your employees you can improve the safety of your kitchen, protecting your restaurant from disaster. Have you dreamed of owning your own restaurant? Maybe you’ve sketched out what the exterior would look like on a napkin, daydreamed about what you would serve, or even picked out your china? But have you ever thought of taking this dream one step farther and putting your ideas to work? If you’re looking to bust into the restaurant business but aren’t quite sure of what you would need to do it, we’ve compiled the largest pieces you need, into one guide. And because opening a restaurant is no easy task, we spoke with Rob Coffaro, owner of Coffaro’s Pizza in Slippery Rock, Pennsylvania, to get his expertise on the subject. Concept- First things first, you need a concept. This may be something you already have under belt, but if not, you need to cement what your vision is for your restaurant. Having a more concrete concept can help you carry the elements you want into your restaurant more clearly. Location- Whether you’re taking over another restaurant or building from the ground up, you should have your location. Talk to your realtor about the different options for your commercial venture. This will impact how you finance your restaurant. Finances- How you finance will largely depend on your situation. If you are so lucky to have been saving up in your personal savings account, these liquid funds could get you on your way. If your credit is in good standing, a credit card could be a viable solution, depending on how much you need. Another option could be a restaurant specific loan or a Small Business Administration loan. A restaurant specific loan is not bound to a specific need and has a varying interest rates and terms, depending on the size of the loan. Based on the financial institution, this loan can have many different names but serves the same purpose. An SBA backed loan can offer lower down payments and longer terms to the business owner but can be difficult to qualify for. To qualify, a business must meet size requirements, be in good financial standing, be in the for-profit industry, and meet the credit requirements of the lending institution. Instead of going the commercial route, you could also have investors help fund your restaurant. If these are friends and family, remember that while the money can be convenient, it can also be a strain on the relationship. Business plan- After you’ve analyzed the risks and you’re ready to take on the responsibility of owning your own business, it’s time to create a business plan. This plan gives you a guiding light when things seem dark or what to do next. When documenting your business plan, be sure to include information on your concept, team standards, design, target market, market overview, financial risk, business structure, and external individuals that will be helping you run your business (like a lawyer or accountant). Legal matters- If you plan on serving alcohol or having a BYOB policy, make sure you check your state’s liquor license laws. Some states can take longer than others for this process, so if this applies to your business definitely get a jump on it! Write your menu- It’s time to test out what culinary creations will grace your menu. Use focus groups of friends, family, and other chefs to narrow down what fits your restaurant’s style and flow. Make sure to also include various substitutions to accommodate guests with food allergies or dietary restrictions. When designing your menu, you need to keep in mind the physical look of the menu, how categories will be presented, and the pattern in how it’s read. Network- How are you going to obtain the ingredients of your daily fare. Research foodservice vendors on price, quality, and delivery time but also keep local farms or vendors in mind. 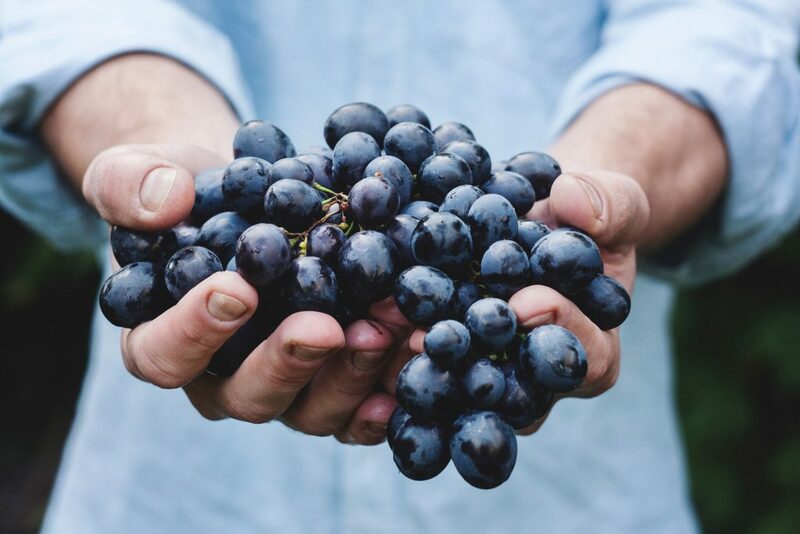 A great way to build relationships in the community is to partner these homegrown businesses which could help get your foot in the door for future events. Get social- Start creating a buzz about your establishment. 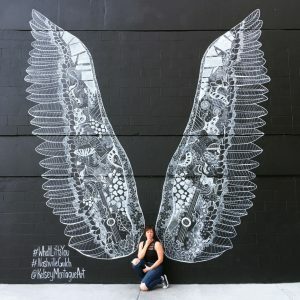 Choose two or three social media platforms that you are well-versed in (or are prepared to master) and begin showing the world what makes your business unique. You have a great opportunity to show the beginnings of your restaurant, from the first time you walk through the door to opening night. Use it! Dimensions- Space planning can give you important figures such as your capacity, how many pieces of furniture you can order, and the image of how your restaurant will look at the end. There are many requirements that restauranteurs need to implement in their layout. Whether large or small, your restaurant can be planned out before you purchase a single piece of furniture. Filling the space- To complete your restaurant, you will need commercial furniture and restaurant equipment (think refrigerators, ovens, etc.). Be sure to purchase products that promise quality and durability. Don’t forget to also pick up dinnerware, napkins, cooking utensils, and silverware to run your business smoothly and efficiently. It’s also time to finalize your menus and send them off to print! Safety is key- In most states; you need to have a pre-operational inspection done before your restaurant opens. During this inspection, there should be absolutely no food on the premises. The pre-operational inspection confirms that your restaurant is compliant with health laws. Build your team- The amount of upper-level management you need will depend on your business structure and size but most restaurants have a general manager, assistant manager, shift leaders, and chefs. You will want to look for individuals that are successful in recruiting, supervising, and budgeting. When your management team is in place, you can start hiring the wait and kitchen staff. From top level management all the way to the first-time job holder, training is important for seamless, united customer service. Get your feet wet- Have your soft opening a couple weeks before your grand opening that introduces your business to the community. This lets your future customers get to know you and get excited that you will be opening very shortly. Call your health inspector- Directly after your soft opening, schedule an operational inspection with the health department. Staying up on these issues is important for the longevity of your business. Make it an event- For your grand opening, make sure that you are present and available. This is the time to enjoy your handiwork and introduce yourself and your team to all those who came out to support you. You should invite some sort of press outlet, but you may want to also hire a photographer to attend. Designate a staff member or friend to be in charge of social media that night, this is an event you will want to remember. So your restaurant is now a full-blown operational business. That’s awesome, but the hard work is just beginning. You need to keep up on budgeting, food safety, licenses, and your customers’ overall experience. 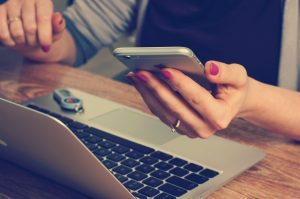 It’s important to keep in mind that while it may be simpler to hire the accountant and just leave the finances to them or hire an assistant to focus on staying up to date on licensing, you need to be involved. Just because your restaurant is open does not mean you can stop researching and educating yourself. Let this and every ounce of customer feedback drive you to become a better restaurant and business. You need to be involved with each workings of your business to protect and nourish it every step of the way. Ever wonder how your recently ordered furniture will get to you? Here are some answers to frequently asked questions that we get when it comes to receiving your shipped furniture. How is my furniture being shipped to me? LTL delivery is a common way that many furniture suppliers use when shipping furniture to customers. Items are usually put on a wood pallet and secured using plastic straps and/or shrink wrap. LTL delivery is used when items don’t fill the entire truck but are too large or heavy for parcel. With this delivery method, you are paying only for the space that the pieces of furniture take up. What does LTL stand for? LTL stands for “less than truckload”. What determines how much delivery will cost? To calculate LTL delivery costs, items are put into classes designated by the National Motor Freight Traffic Association (NMFTA). There are 18 classes total. To place an item’s class depends the shipment’s density, stowability, handling, and value. The lower the class, the cheaper it is to ship the item. For example, a steel chair ships at class 250 because they have a high density. Meanwhile, aluminum furniture ships at a class 300 because it takes up more space but has less weight. Other possible costs include fuel surcharges, expedited delivery fees, and where the end destination is located. What is lift-gate service? Is it included? A lift-gate raises and lowers items from the back of the truck to the ground. This is not included in the shipping quote are given unless you ask for it. If a truck that delivers your items has a lift-gate and you use it but did not pay for it, you will be charged as if you had requested it. Will the carrier call me to let me know when my order is being delivered? For an additional fee, they can call you with a timeframe. Can I change the shipping address once the item has shipped? Yes, it is possible to change the shipping address by contacting the carrier. However, a reconsignment fee will be charged. Will the driver take the items off the truck? No, we recommend that you have some extra help with you to take items off the truck. Will the driver take my shipment inside? No, however, an “inside delivery” option can be added for a fee. Can I use a forklift to take the items off the truck? Yes, this could help you get the items off the truck because they’re on pallets. Don’t use forklift on booths or oversized tables, these items are easily damaged. What do I do if my furniture is damaged? Regardless of what condition your furniture arrives in, you need to accept the delivery. You will receive a delivery receipt where you can note the damages. From there, you will need to contact our service department about the damages. For more information on how to accept a tailgate delivery, check out our video below! Restaurant furniture is built tough. The wear and tear that commercial furniture has to endure is far greater than the six chairs and table in your dining room. Because of this heavy usage, commercial furniture also comes with a responsibility. These pieces need to be maintained and properly taken care of to last to their full lifespan. 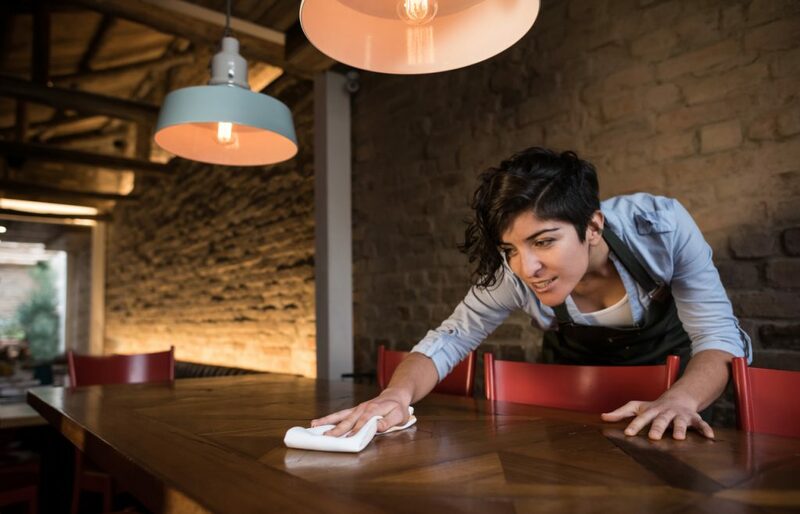 We’ve put together this short guide to help restaurant owners learn a little more about cleaning their table tops. Laminate table tops should be cleaned with warm water and soap (or detergent) mixture each day and dried with a soft cloth. Spills should be wiped up quickly to avoid further harm to the table. A combination of mild cleaner and baking soda can be used to remove stains from the surface with a stiff nylon brush. Resin table tops should be cleaned daily with warm water and a mild detergent. Because of the texture of the table, resin tops should not be used with tableware that has unglazed bottoms. To remove scratches, use a toothpaste and car buffer or toothbrush to even out your table top. Wood table tops can be maintained with mild soap and water. Whether it’s reclaimed, urban distressed, or butcher block tables, harsh cleaners and chemicals should not be used on these tops. These chemicals can harm your wood grain and create a gummy film on your table tops. IsoTop and Werzalit table tops can be used indoors or outdoors and have a very similar cleaning procedure to other table tops. Soap and water can be used to wipe these tops down between uses. If being used on a patio, IsoTops can also be hosed down with other outdoor furniture. Poly lumber table tops are very easy to maintain with soap and water. To remove leaf stains and other environmental elements, a wet Magic Eraser can work wonders to buff out the stain. These tops can even withstand a gentle pressure wash. Stainless steel table tops should be cleaned with soap and water and then dried off as soon as possible. These tables should not be exposed to constant moisture, which can ruin the silicone seal around the edges. Taking proper care of these tops can provide multiple years of seasonal use. Table top maintenance should be an everyday chore for you and your staff. By taking the time to upkeep your restaurant furniture, it can save you time and money in the future. How many times a day do you see blog articles pop up on social media titled “25 Most Embarrassing Food Clichés of (insert year here)”? And once your curiosity has gotten the best of you and you’ve clicked on these articles, you see a list teeming with negativity about food and restaurant trends from years gone by. While these articles can be entertaining, hindsight is always 20/20. It’s safe to say that the restaurant industry has had plenty of changes occur from its inception, some of them better than others. “New” trends are difficult to come by in the restaurant industry, with many ideas being perfected over the years. But as restauranteurs, it’s necessary to look back on restaurant history to see what’s coming in the future. The 1950’s easily became the golden era for American restaurants. The Great Depression and war were a thing of the past and left the economy booming. This time of prosperity made it simple for other industries to flourish as well. 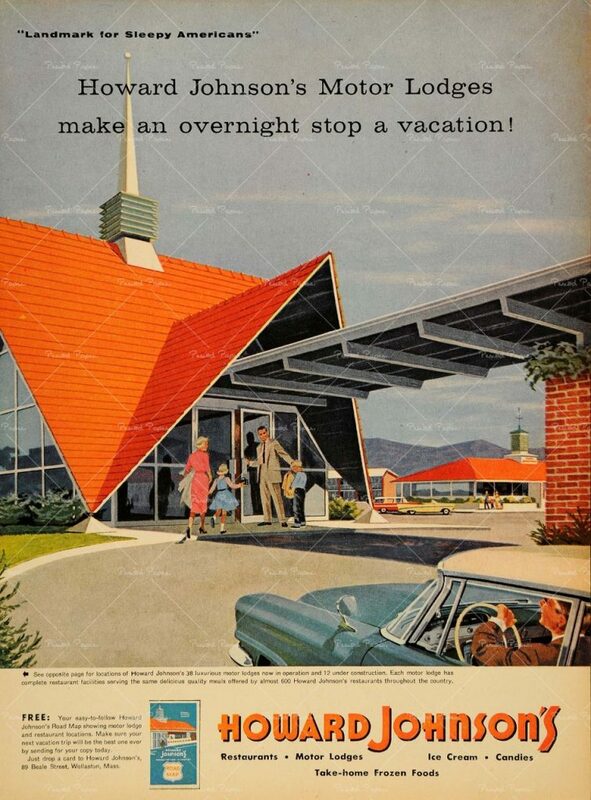 Due to improvements in the nation’s highway system, the need for stops along interstates grew. With more and more travelers on the road, franchise restaurants became more in demand. Many of these franchised restaurants are still popular today. 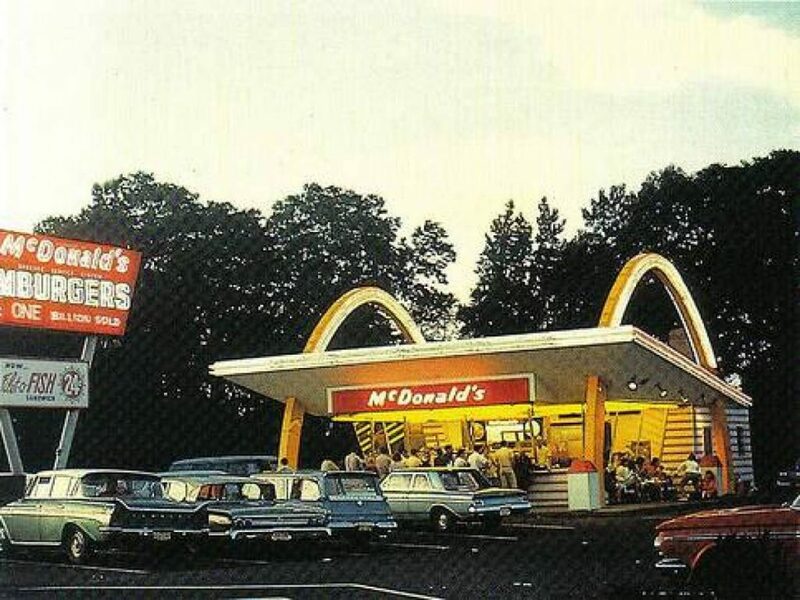 In 1954, the McDonald’s restaurant we know today was bought from the original McDonald brothers and transformed into franchise gold by Ray Kroc. McDonald’s was not the first fast food restaurant, but the assembly-line system was revolutionary for fast food restaurants to come. Kroc was able to turn this humble hot dog stand into a quick and efficient franchising opportunity. McDonald’s franchise model became a beacon of success for other restaurants, like Kentucky Fried Chicken and Dairy Queen, to follow in suit. 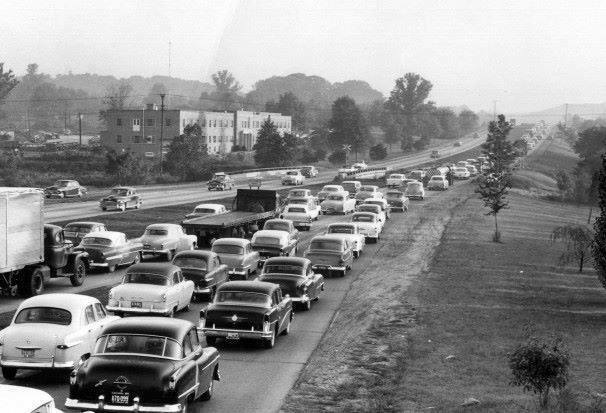 With the highway system improvements also came advancements in the automotive industry. The 1950’s was filled with car culture; so why would restaurants be any different? While the first drive-in was opened along the Dallas-Fort Worth Highway in 1921, the 1950’s were the true heyday of drive-in diners. Serving up burgers and shakes, sometimes on skates, these diners became social hangouts for teens and families alike. The drive-in trend continued through the 1960’s and then declined with the increasing number of drive-through options in restaurants. Although processed and junk food captured much of the baby boomers’ attention, it wasn’t the only trend happening in America at the time. Steak and Ale (casual dining) began offering a salad bar buffet to guests, keeping them occupied while waiting for their dinners. 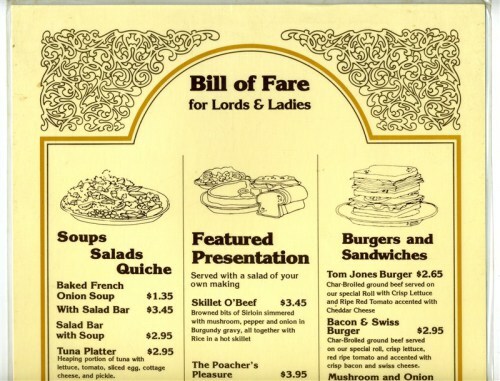 Soon enough, salad bars were popping up in steakhouses all over the country as a way to customize a guest’s appetizer. This decade was also defined by the meats served in restaurants. Most entrees at this time were focused around beef of some sort. Beef wellington, steak Diane, and Swedish meatballs were all popular beef dishes of 1960’s. In middle class restaurants, beef and lobster (or surf n’ turf) dinners were commonly seen on the menu. At this point in history, there was an increasing emphasis on family time outside the home (vacations, a meal out, etc.). Popular restaurants of the time, Japanese steakhouse Benihana and Howard Johnson’s were often patronized by these families looking to spend quality time together and bond over dinner. In the 1960’s, dinner became more than just food and more focused on the emotions associated with it as a family. The 1970’s marked the beginning of environmentalism as the newest social cause, affecting the food and restaurant industry. Changing their tune from the 1960’s, customers wanted healthier options that were unprocessed and uncomplicated. This shift led to a rise in vegetarianism and health food stores. At this point in time, there was a shift in gender roles. With a larger number of women in the workforce, restaurants were used as experiences with the family or a chance to get away from the preparations and cleaning up required of cooking at home. More casual-dining chains began spreading across the nation like the Cheesecake Factory and Ruby Tuesday, both opening their doors in 1972. For a quick bite, the 1970’s marked Subway’s start into franchising. Much like the fame of the McDonald’s assembly line from the 1950’s, the Subway assembly line was just as important for future restaurants in similar niches. 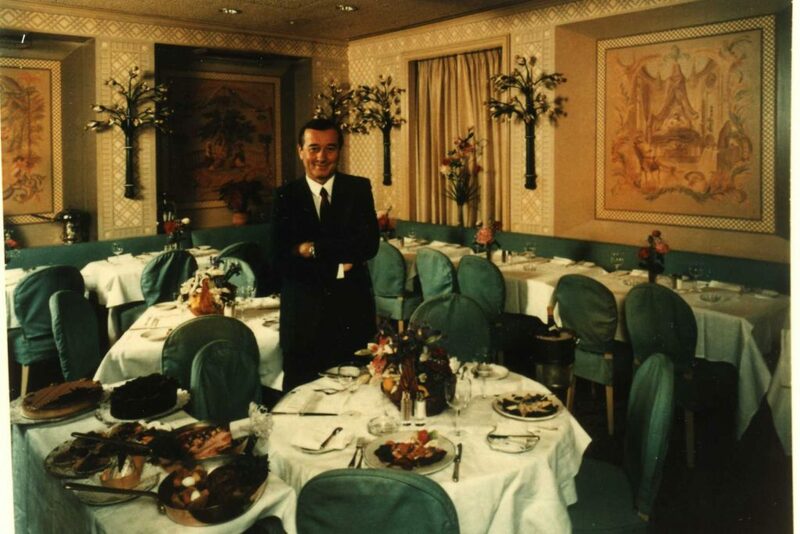 In finer dining, Le Cirque (New York City) opened its doors in 1974 by Sirio Maccioni and became a landmark in the city. One of the most infamous dishes to come out of Le Cirque was pasta primavera. This entrée soon became one of the most ordered items at restaurants across the country, its popularity spilling over into the 1980’s as well. Innovation ran rampant in 1980’s restaurants. Chefs were taking creative license to create new combinations and dishes, making restaurants trendy and modern. While there were many traditionalists who argued against these new methods, it was certainly an exciting time to be in the restaurant business. Nouvelle cuisine was popular especially in finer dining establishments. Chefs worked hard to create elaborate presentations with their dishes, using the plate as a canvas. Popular New York City restaurants like Odeon and Quilted Giraffe used this style quite fervently throughout the 1980’s. 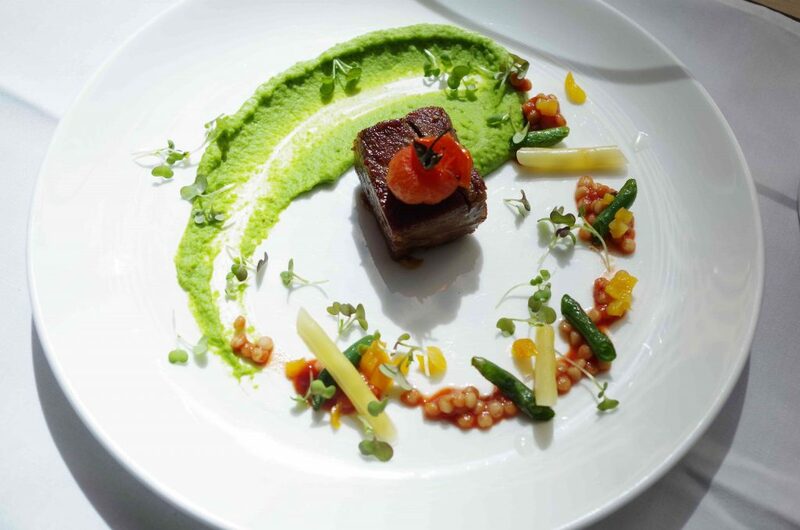 Championed by chef Michel Guerard and food critics Henri Gault and Christian Millau, nouvelle cuisine allowed young chefs to be more artistic and not held to the restrictions of traditional French cooking. Although this cooking style allowed chefs to be more creative in their practice, it ended abruptly with the stock market crash of 1987. With the largest one-day drop of the Dow Jones in history, customers expected more out of their restaurant helpings than the smaller, artistic portions of the time. Another popular trend in the 1980’s was Cajun cooking. 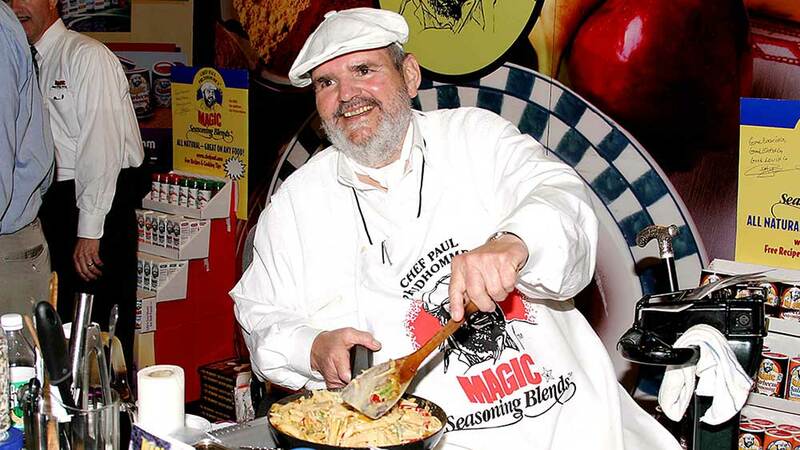 While other American chefs looked to other countries to inspire their dishes, chef Paul Prudhomme looked to his Louisiana roots. Prudhomme used classic Louisiana ingredients like blackened beef, crawfish, and shrimp to create exciting menu items such as Chicken and Andouille Gumbo and Cajun Jambalaya. The blackening technique became very popular in the 1980’s, being used in fish and other meat entrees. Fusion cooking was on the rise in the 1990’s. A trend, fusion cooking is the combination of different cultural dishes to create something new. 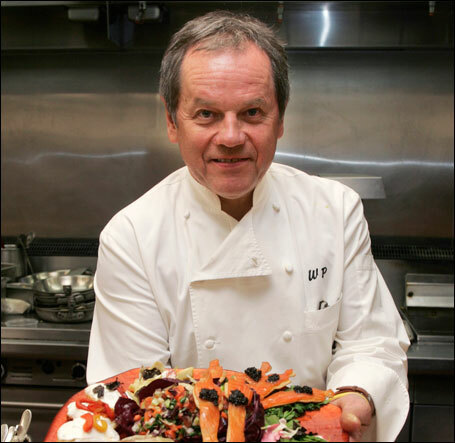 Laying the ground work for this new trend, celebrity chef Wolfgang Puck served dishes that combined French and Asian influences for an interesting mixture. Items on Puck’s Chinois on Main menu included foie gras with pineapple and catfish with fried ginger. While these dishes could be highly creative and delicious (like this Thai-inspired pizza), some chefs took it a step too far and created “con-fusion” which were unexpected flavor hybrids that didn’t complement each other well. The “con-fusion” was a result of the chefs trying to jump on the bandwagon and allow their restaurant to have the next big thing, which doesn’t always coincide with a customer’s palate. It is very difficult to specifically label certain “con-fusion” recipes as a failure because taste is extremely subjective. But something tells us that a recipe for spicy Asian green beans with blue cheese isn’t going to be our new favorite food either. 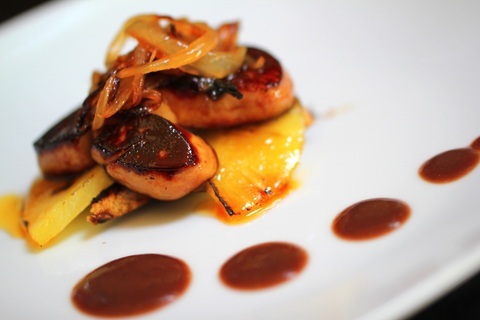 Many chefs are not a fan of the term “fusion cooking”, claiming negative connotations from the 1990’s. Even though it is still a popular cooking style in the modern world, the term fusion cooking is not normally used. At the turn of the century, America became much more conscientious about their foods. Consumers were more concerned about where their food came from, how it was processed, and what was in it. This kind of curiosity led to many consumer-driven changes that effected food suppliers, distributors, and restaurants. 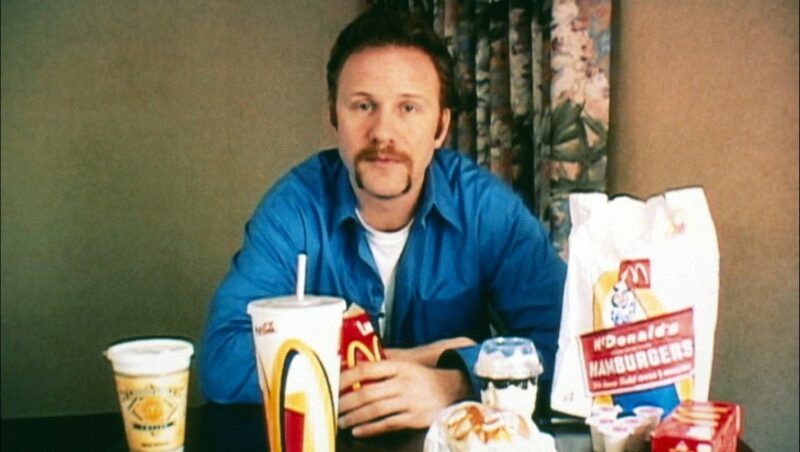 One of the most revolutionary food documentaries to ever hit the small screen was Morgan Spurlock’s Super Size Me, which premiered in 2004 to a shocked America. It was common knowledge at this point that fast food was not the ideal meal for a healthy diet, but this documentary took just how unhealthy fast food could be and made it a living nightmare. After this documentary, many fast food chains began to evaluate their menu offerings. 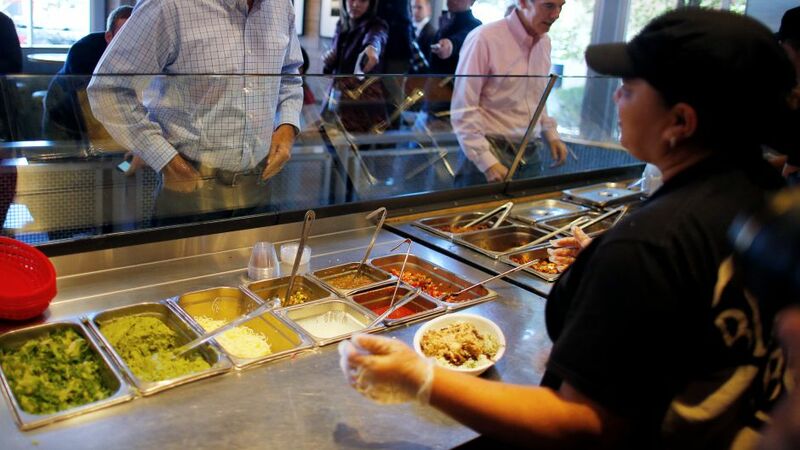 Many consumers demanded more health-conscious options from all of their eateries. Even big-box retailers like Walmart were starting to offer organic options to their customers. So why wouldn’t restaurants as well? More restaurants began creating and marking healthier choices on their menus while others provided more detailed information about where the food came from. This kind of communication with the customer makes them feel more in charge and able to make more educated decisions based on the information that is provided to them. Because consumers were aimed to obtain healthier foods (for the most part) they frequented businesses like Subway, Jamba Juice, and casual dining establishments like Applebee’s and Olive Garden. Some of the most popular foods of this decade included sushi, bacon, super fruits (blueberries, acai berries), and cupcakes. Many restaurants assimilated these flavors as a part of their core offerings. While we are 60% of the way through the 2010’s, there are still prominent restaurant trends that will have sticking power throughout the remainder of this decade. Restaurants that offer assembly line-like service allow for customers to choose how they want their food prepared are huge right now. The customer is able to tailor their experience from station to station to have their food made exactly the way they want it. This customization ability can be seen in restaurants like Chipotle, Blaze Pizza, and even Starbucks. Speaking of Starbucks, the 2010’s are drink-crazed. Whether it is coffeehouses or microbreweries, the interest in mixology has skyrocketed. 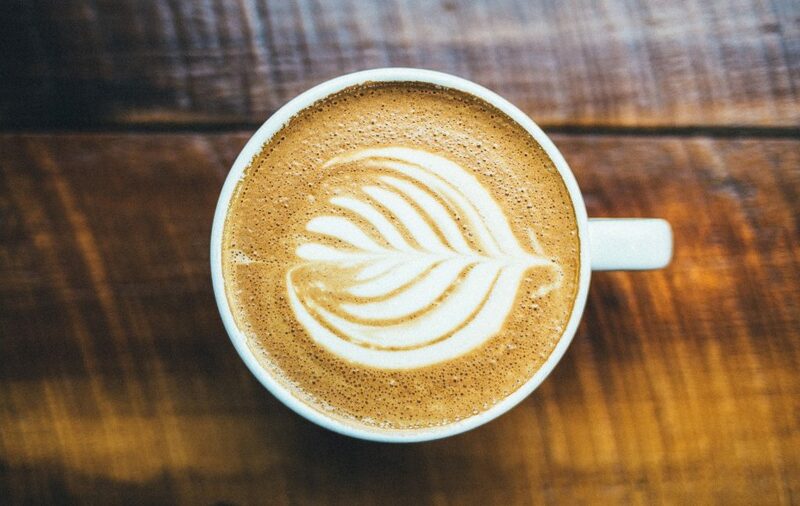 Many restaurants are not limited to regular or decaf coffee offerings anymore. Similarly, restaurants are also producing their own type of craft beer or wine. 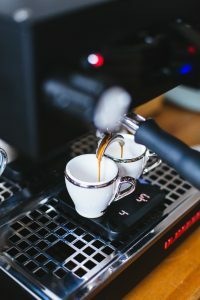 There is a certain fascination with making these concoctions because it is all about creativity, and is great for expanding your profit margins. In urban areas where rent is astronomical and constantly changing, the newest restaurant trend isn’t to become a physical building; it’s to have a food truck. 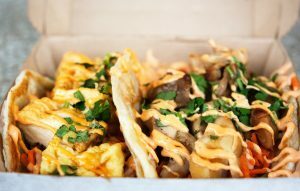 This trend has roots starting in Los Angeles with Kogi BBQ truck and chef Roy Choi. With the help of Twitter and the combination of Korean and Mexican cuisine, the Kogi BBQ truck became a success that inspired restauranteurs to take an alternative route for restaurant ownership. If you’re looking to create something new in your restaurant, it is always helpful to look to the past for inspiration to create your future. These popular trends from the 1950’s all the way to today have their time and place in history. The restaurant industry has a cyclical nature; trends are bound to find their way around again. While the subject matter of the trends may not be your restaurant’s cup of tea, at the very least, you can get a theme night out of it! What are some trends (modern or older) your restaurant has tried? Let us know in the comments below! Want a look for your restaurant’s interior that has an organic, elegant style with an effortless je ne sais quoi? A timeless style that’s easy to pair with other décor items? Then the rustic industrial trend is the right theme for you. Seen in home design, wedding themes, and splashed across Pinterest, the rustic industrial trend is still going strong in late 2016. But what inspired the Mason jar fervor? As a culture, we are obsessed with authenticity. We crave a sense of legitimacy and timelessness. We love seeing genuine, honest to goodness labor turned into beauty. Showcasing cracks, daily wear and tear, and distressed accents embody this trend. So what does this mean for your restaurant and the industry? Within the last 10 years, restaurant-goers have seen a rise in sustainability and local allocation of food in the businesses that they frequent, playing upon authenticity and individualism to set themselves apart from the competition. Customers are more likely to trust these singular operations that are original in the way they do things. This trust is key to differentiate your restaurant. If you can get customers to believe in your mission and purpose, it will set you apart from your competition. The desire for authenticity has birthed the rustic industrial trend. The interior originality of the restaurant is just as important as the food selection to consumers. One characteristic that ties restaurant interiors into this look is showing evidence of craftsmanship. The raw aesthetic of these restaurants remind us of the physical labor that went into creating them with their visible markings. Some common features of rustic industrial interiors include natural materials, high ceilings, and unfinished wood for accents. It’s these nitty-gritty details that can transform your space into the charming eatery of your dreams. We’ve made a list of our awesome customers that rock the rustic industrial trend. Built in an old cotton warehouse, 11th and Bay fits right into the rustic industrial theme. This restaurant pulls rustic inspiration with the exposed white brick, distressed rafters, pendant lights, reclaimed wood seats, and sliding barn door. The cool metal of the bar stools and chairs add an engineered look to this otherwise very warm-toned atmosphere. This balance looks great together and prevents the room from looking too antiquated. The interior of 11th and Bay reflects the business’ passion for southern hospitality and quality ingredients. A feed warehouse in the early 1900’s, the Chattanooga Craftworks building is now home to The FEED Co. Table and Tavern. The rustic industrial style was a no-brainer in a building with this kind of history. This restaurant is split into a table area and a tavern area based on where the warehouse was sectioned off. Exposed brick, factory swing doors, and wood floors use the building’s origin and make it work with the theme. To tie the individual rooms in together, the reclaimed tables and seats add a unifying element. Harmonizing with the manufacturing atmosphere of the building, chairs, bar stools, and fixtures add a metallic contrast and create the balance between rustic and modern. The building that now houses Hell’n Blazes Brewing Company has come a long way since its hardware store roots. The brewery still proudly displays its history with the adorned ceiling, hardwood floors, stone accents around the bar area, and other rustic décor. Visible duct work and drop lighting also add metallic tones, matching the chairs and bar stools. Hell’n Blazes holds onto the original feel of the building while introducing industrial design elements, an ideal setting for their combination of craft beer and historic structure. Grain Craft Bar + Kitchen uses the rustic industrial theme to set the atmosphere and complement its combination of craft beer and live music. A casual setting for Newark restaurant-goers, this restaurant and bar is decorated with a unique machinery collection assembled on the wall, chalkboard details, and use of deep wood tones, contrasting with the exposed lightbulb fixtures. This type of lighting casts a soft glow on customers, reflecting off the metal chairs and bar stools. Grain Craft Bar + Kitchen brings together the rustic and industrial styles with the help of décor and furniture. The rustic industrial trend is a combination of varying materials and textures. If you are building or designing your restaurant with this trend in mind, here are some materials to consider using. To meet in the middle of rustic and industrial, you need pieces from both ends of the spectrum. Remember to soften hard metal elements with wood tones and vice versa, the blending of supplies makes this trend truly unique. Ready to try the rustic industrial look in your restaurant or bar? Here are some of our must-have items to get your upgrade started. Each reclaimed table top is made of solid oak wood salvaged from Pennsylvania or Ohio barns by our Amish craftsmen and come with a story of their own. Unique knots and grain patterns are combined to create an individual look every time with these tops. Repurposing items to use them as something else is what the rustic industrial trend is all about. The urban distressed table tops are a great option if you want the reclaimed wood look, but at a lower price point. These tops are handed sanded and distressed to add the rustic charm that’s perfect for your restaurant. Available in a provincial and dark walnut finishes to accommodate whatever color wood tone you would like. Our Simon bar stool and chair is the ideal complement to the wood of the tables. The Simon contemporary silhouette makes it the perfect match with its clean, smooth lines. To mimic the other wood tones, there is an option available to add a vinyl, urban distressed, or reclaimed wood seat. Or leave it metal for a completely modern feel. Complement your rustic restaurant or bar with the industrial Viktor bar stool or chair. The supportive, laid back structure of the Viktor adds a comfortable alternative to a wooden chair. Choose from rust, brushed transparent, or matte black to pair with your tables. This stylish choice will be a favorite with your tables and warm tones. One of our most popular collections, the GLADIATOR line is sure to please in your rustic restaurant or bar. Contrast against your warm tones with the 101 GLADIATOR style in a clear coat finish. This type of finish accentuates the crafted weld markings. Be sure to add a reclaimed seat to your chairs and bar stools for the perfect mix of rustic and industrial. Let us know in the comments below if your restaurant uses a rustic design or if you’re ready to take the leap and give this trend a try. Don’t forget to like us on Facebook, we love sharing our customer showcases!